1919 – 2019, A century of graduating classes in Putnam City housed in one, unique district museum. Click on this link to go to the article about the Putnam City Schools Museum that was filmed by Galen Culver for his show on KFOR-TV, “Is this a great state or what?” Jan 7th, 2019. 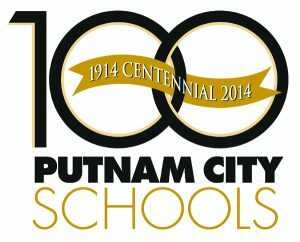 There is a new website for the Putnam City Schools Museum (If the old one comes up you will have to refresh your browser one time). This is the new and current Putnam City High School Alumni Association website. The old one is no longer accessible. Why an Alumni Association for Putnam City High School? 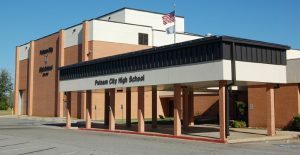 The Putnam City High School Alumni Association was created to provide for and serve the charitable and educational needs of Putnam City High School and its student body, as well as, to foster and preserve the history and traditions of Putnam City High School. Its main purpose is to organize, establish, and annually maintain an All-Classes Reunion, to be held on the last Sunday of October each year. This reunion is held to honor the Anniversary of the class having its 50th Reunion each year. Each member of that class will receive a medallion commemorating the occasion. The reunion is also to provide a period of visitation among classmates, as well as, a report of the previous year activities of the Association. The host class of the reunion is the class celebrating their 40th year. The dues, donations and funds raised by the Annual Pancake Breakfast and the All-Classes Reunion are used to provide scholarships for Putnam City High School students, pay for the medallions to honor the 50th class at the All-Classes Reunion and finance the printing and mailing of the Annual Association Postcard/Newsletter. If you send the Alumni Information Form in (link on right sidebar), you will be updated on the Alumni Association Database which is used for mailings as well as to supply information to each class’s Contact Person for purposes of mailings and reunions. Please check the Class Contacts/Websites by Class Year link there also and if you know if the contact/website for any class year has changed, send me that information and I will update it. You can use the Alumni Update Form to send this information also, just need your year, name (s), and email and put information in the Other Information box at the end to send it. 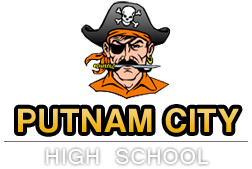 This website was created to encourage all Putnam City High School alumni, past, present and future, to look back at the past and appreciate what “Putnam City Pride” means to all of us. It is also meant to be used to look forward to all the future reunions planned by all classes. By getting each class year updated, present and future reunion committees will have some place to start gathering alumni information for their classes. Please use the Alumni Information Update Form at the top of this page on the Menu Link or the one on the right sidebar The form will have a space for your CLASS YEAR and then First Name, Last Name (when you were a student) and if it applies, Current or Married Name. Required also is Email Address, Address, City, State and Zip, and a Telephone Number (optional). There is also a space for other information where you can add any information such as Deceased names and Reunion information. This information will not be online, but will be updating the Putnam City High School Alumni Association Database so that you will receive a mailing each year. This information will then be supplied to each class’s Reunion Committee as requested by them. If you have any questions, please email me, Jackie Cole Simpson (1961) at [email protected] . There are also Yearbooks from all 3 High Schools and some of the other schools in the district that are for sale by way of a $20.00 donation. These have been donated by Putnam City Alumni throughout the years and are in excess of those in the Museum. These can be obtained at the Putnam City Museum during open hours Saturday 10 am to 2 pm. Go to the Putnam City Schools Museum to see what yearbooks are available and how to get them. More information on the Centennial book prices and how to buy them at the Putnam City School District Museum.